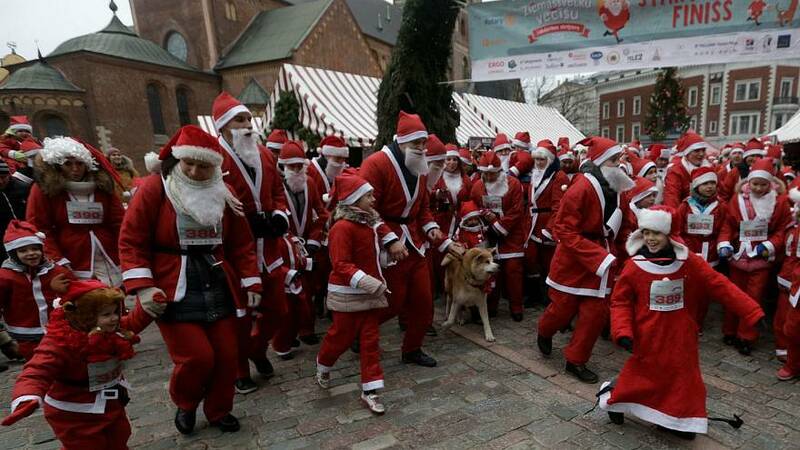 About 1,000 runners dressed up as Santa gathered in Riga’s medieval Town Center on Sunday to participate in an annual race. It was about a charity event, which was organised for the ninth time and saw a record number of runners. Organisers said they collected over 13,000 euros, all of which will go to the rehabilitation of children with movement disabilities. Meanwhile, in Issy-les Moulineaux, near Paris, over 10,000 runners, also dressed up as Santa, embarked on a 10 km race, upholding what came to be an annual tradition, which alas got called-off last year, because of the Paris attacks.